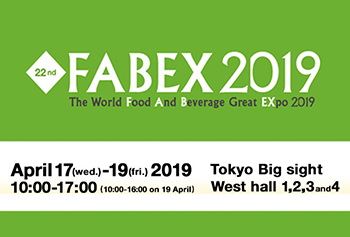 Fabex is one of the largest trade fairs in Japan covering the entire range of commercial foods and food products, equipment and materials, and containers and packaging. It takes place at Tokyo Big Sight from Wednesday 17th to Friday 19th April. The fair showcases also bakery products and dessert sweets. The event is organised by Japan Food Journal Co.,Ltd. Opening hours: from 10 am to 5 pm (on Friday until 4 pm).